Thanks for the data re: “hop creep.” It at least partially explains some issues I’ve noticed in some of my beers in the last year or so, but it also brought to mind some questions as well as possible solutions. First question: I’m presently brewing an experimental ‘Dry PA’, hoping to get the final gravity below 1 P/0.998 SG by using Omega Yeast’s new strain OYL-501 “Gulo” which claims to attenuate to 85-90%. They advertise that the strain tests positive for var. diastaticus, so given enough time that alone should get FG down to 1.003~1.005. Additionally I’ve added amylase enzyme to the mash as well as amyloglucosidase to the mash (both denatured by mash out and the boil) and a small amount of amyloglucosidase to primary fermentation to drive the conversion of dextrines and other unconverted starches. OG of the mash was 1.055, so the final goal is a very dry, light bodied beer in the 6.5%-7.5% ABV range. Hops were Nelson Sauvin and Hallertau Blanc. The fermentation has been robust but not out-of-control, maintaining a center core temperature of 68F (the recommended low optimum for the yeast) and SG dropped over 30 points in the first two days. My concern is with your statement about trace amounts of alpha and beta amylase being present in hops, and how that can persist in subsequent batches. The last time I brewed with a fast fermenting, highly attentive yeast was with a Nottingham strain which finished out well below 1.008 SG. It was meant to be a quick, quaffable, lightly hopped summer beer but turned into a phenolic shipwreck instead. The next several batches of beer I brewed had symptoms of diacetyl. I suspected pedio despite solid cleaning protocols, but ended up ditching the plastic fermenters and replacing with stainless steel. I also quit doing a dedicated secondary fermentation and instead now do a single stage ferment ~21 days with a trub dump after the first day or two followed by another around the time when I would have previously done a transfer to secondary. This has seemed to mitigate some of the issues associated with diacetyl (or pedio) which you described as possible consequences of hop creep or possible carryover of diastaticus strains. I’m sure the investment in stainless steel has been a driving factor. The second question I have with regards to the blog post is how much of the trace alpha and beta amylase/limit dextrinase enzymes issue could be eliminated or at least reduced by substituting the dry hops charge with either distilled hop oils or a steeped hop tea? That is to say, are the enzymes primarily contained in the vegetal hop material as opposed to the oil distillates? Even if they are not, wouldn’t the heat of processing an oil or steeping a tea be sufficient to denature the enzymes? The concern here would be whether the time/temperature would be sufficient to eliminate the limit dextrinase enzymes. One the one hand, normal pasteurization is one method suggested in the blog post, but I wonder whether it would be enough (unless it was a “flash” pasteurization). This concern relates back to my first concern: how can I eliminate var. diastaticus or limit dextrinase enzymes in my equipment from carrying over into subsequent batches utilizing standard sanitizing techniques, absent any ability to sterilize or autoclave my equipment? After more than 25 years of brewing, I’m still trying to perfect my processes and procedures. They keep evolving and improving, though Beer Nirvana is an elusive goal. With your continued help, I may eventually get there. 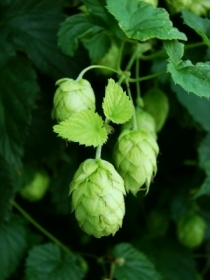 Not sure I can answer all the questions but I believe some people have been experimenting with Cryo-Hops (aka Luplin powder) to reduce hop creep and believe it may help. In addition distilled hop oils don’t contain the enzymes as far as I know so those may also be good options.